I found this leaf on my ride home today. It stood out because it was standing up perfectly straight, and it was pale yellow/green while most of the other leaves from the same tree were red. I took it home and set it up like you see here - a tea candle is providing the backlight. After playing with the color, it seemed B&W was a better choice. Great comp and light. Beautiful! B & W is the perfect choice. Stunning! 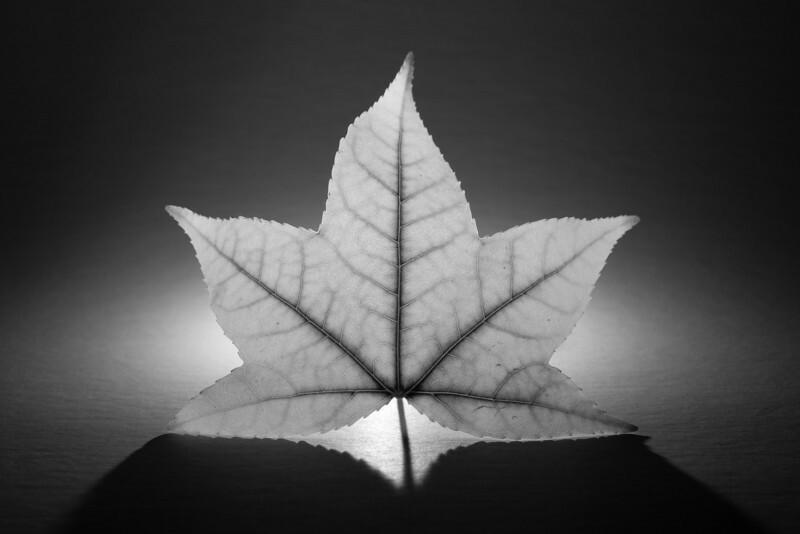 Pretty outline on the leaf. The light and shadows are nice. Beautiful shot! I love the B&W and the way you have composed this. Very simple and lovely.